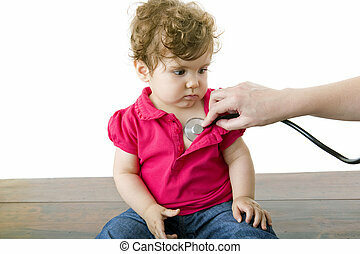 Baby at doctor. 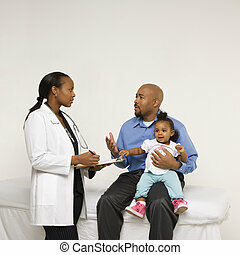 African-american male doctor examining baby girl with mother watching. 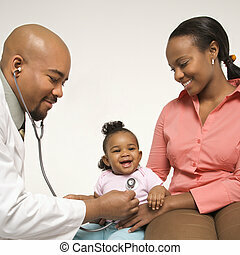 African-American male doctor examining baby girl with mother watching. 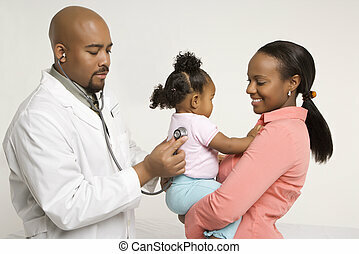 African-American male pediatrician examining baby girl being held by mother. 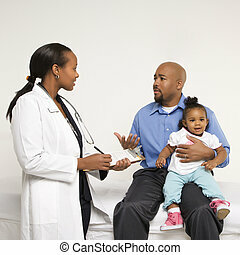 African-American father holding baby girl talking to female pediatrician. 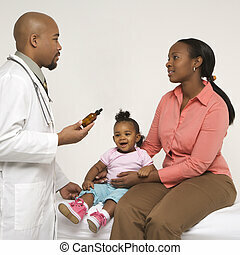 African-American mother and baby girl talking to male pediatrician. 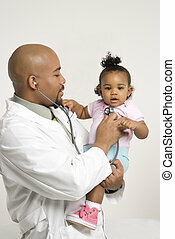 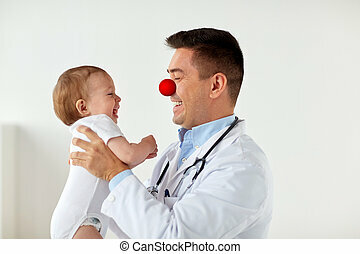 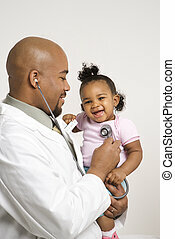 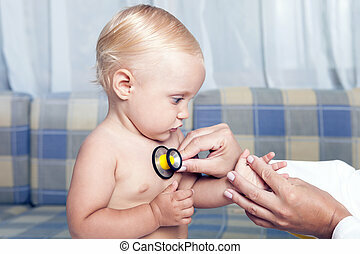 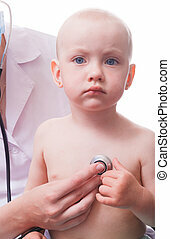 African-American male pediatrician holding and examinating baby girl with stethoscope. 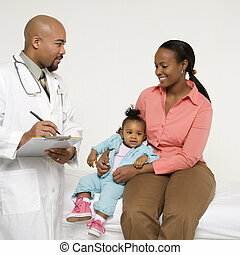 African-American mother and baby girl with male pediatrician. 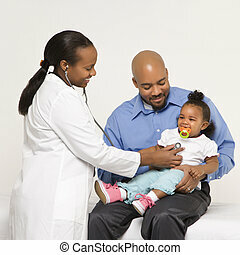 African-American female pediatrician examining baby girl being held by father. 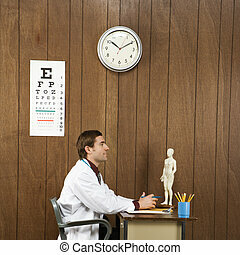 Side view of mid-adult Caucasian male doctor sitting at desk. 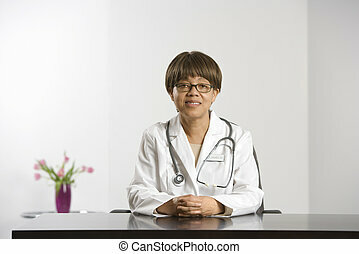 African American middle-aged female doctor sitting at desk smiling and looking at viewer. 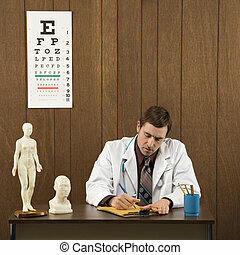 Mid-adult Caucasian male doctor sitting at desk writing. 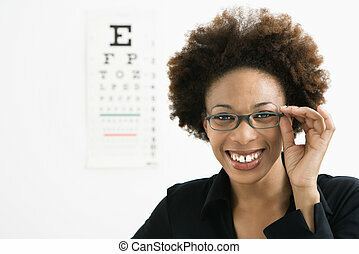 Portrait of woman with afro wearing eyeglasses with medical eyechart in background. 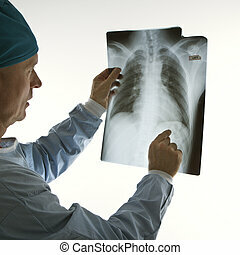 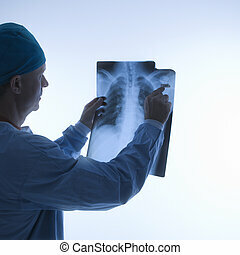 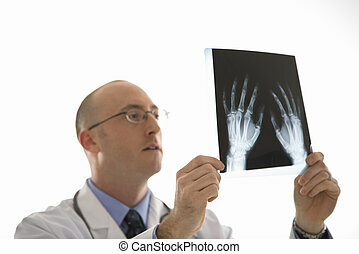 Mid-adult Caucasian male doctor pointing at an x-ray. 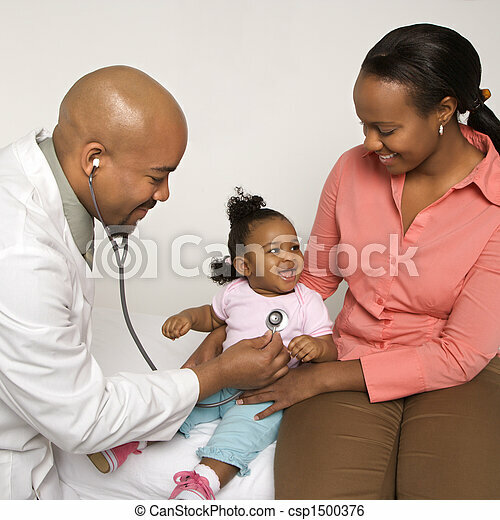 Pregnant Caucasian mid-adult woman having vital signs checked by nurse. 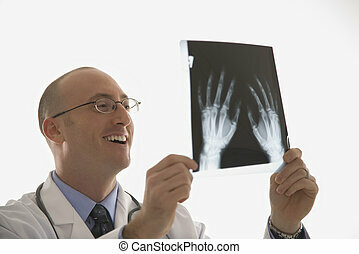 Caucasian mid adult male physician holding up hand xrays. 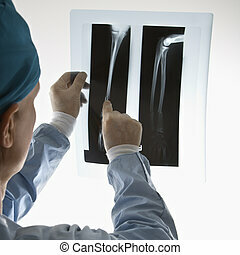 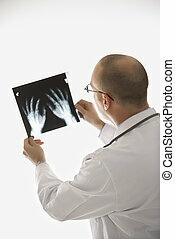 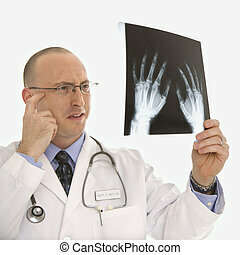 Caucasian mid adult male physician holding up hand xrays looking perplexed. 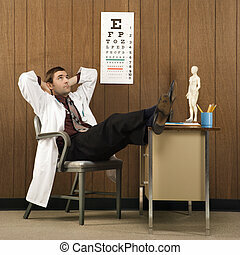 Mid-adult Caucasian male doctor at desk reclining with hands behind head and feet on desk. 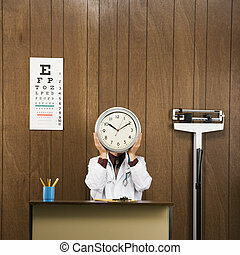 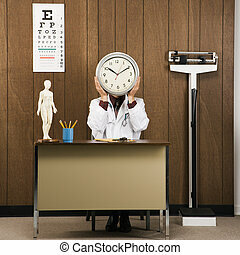 Caucasian male doctor sitting at desk holding clock over face.